After the triumph of Room, many readers waited for the next book from Donoghue to see if she could continue to impress beyond her hugely successful debut. And she has. 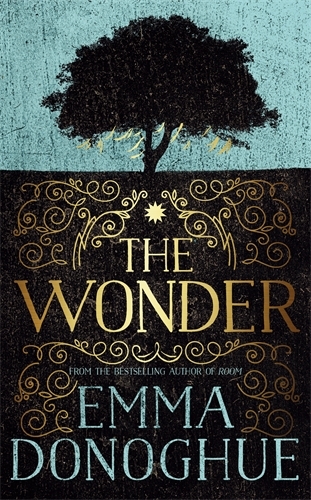 The Wonder has a completely different premise. Set in the mid-1800s in rural Ireland, our heroine has returned from the Crimean Wars, where she worked under Florence Nightingale. Lib is to watch over an eleven-year old girl who, it is proclaimed by her parents and doctor, is miraculously living off nothing but air. The sceptic in Lib is determined to catch this pretender out, especially when she meets the girl and finds her in apparent rude health. The girl’s religious devotion cannot be questioned, but others are angling for her to be declared a Saint. This Lib cannot tolerate, when faced with the blind devotion of the coarsely superstitious and overly pious family. She shares her watch with a Nun, finding it hard to trust her, too. As the week passes, Lib comes to question all her own beliefs and fends off probing questions from a city journalist looking for the inside story. The novel quickly draws you in and grips hard until the very satisfactory conclusion. Donoghue is becoming a writer of note.